BACK-UP EXCHANGE IN CASE MAIN WEBSITE IS OFFLINE. PLEASE BOOKMARK THIS PAGE. Click here! This website is pretty much a clone of powh.io, the smart contract in functionality is identical to the POWH smart contract. It was never my intention to hide this, in fact I needed you to get that it is exactly the same, a copy and paste as you call it. So why do it? What is the point of just copying something you might ask? so I will tell you. Firstly, you don’t have to believe any thing I say but you can check the evidence to see if it holds true. POWH3d is a very popular system that has been promoted to people in the west and a lot of people have invested and made and continue to make big profits. It’s a great system I am a believer but my concern is this, POWH3d has on their site a button that should translate the page to Hindi but it is not working yet. Not a big deal right but it got me thinking, so someone from powh3d must have made that button right, you know the Hindi translate button, so POWH3d have intentions to promote their product in India soon or at some point in the future. You might even think, OK so maybe I will invest in it when they do. My issue is that, with the powh3d system the earlier you invest the cheaper the price of the token, so as their contract has already been promoted in the west it means when they promote the same contract in the east the price will already be way above the original starting price. This means NO new Indian investors will ever have the chance to buy in early or get in from the start of the life of the contract. In fact, new Indian investors will be treated like second class investors in the platform, they will get rewards but nothing like the first wave. Now the POWH3d team have many resources and millions in funds behind them so how can I stop what I see to be a massive injustice from being done to my fellow countrymen, the worst thing is they can’t see it coming but I can. I needed the help of someone who would stand up for India, as a symbol of something good that can not be corrupted or perverted by anyone in any way. Then Gandhiji came to our rescue. For those of you who think this is a scam, all the evidence is there on the blockchain you just haven’t studied it hard enough yet. 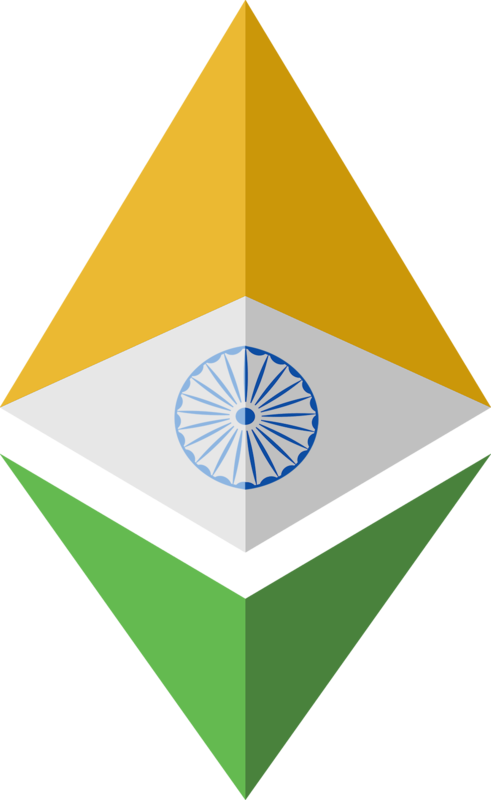 THE SOLUTION - An exact copy of the powh3d platform reset to the beginning and open for anyone to invest in, promoted to INDIA before the rest of the world. Jai Hind. The most secure Crypto Investment in India. Note that your karma does not become active until you have 1 Token. Type in a valid address and token amount..
install Metamask here and put some Ether in it. Depending on the Ethereum network traffic, figures may be delayed. Uses your dividend balance to buy more tokens at the current rate. Withdraw your dividends balance back into your Ethereum wallet. To interact with the network, you must have Metamask installed and setup. WARNING This is your wallet's seed. If you lose this, you lose access to your ETH and any IND along with it. This is only ever stored locally in your web browser. If you clear your browser data, generate a new wallet over an existing, or your computer dies, and you don't have this saved anywhere, nobody can recover this for you. Seriously, save it somewhere safe. Send ETH to another address. The donation address is a multi-sig wallet that requires two core developers to approve any withdrawals. Funds will be used solely for the purpose of advertising IND. 1	First of all, install MetaMask here and put some Ether in it. 2	To buy IND, simply click the "Buy Tokens" button and enter the amount of Ether you want to convert to IND, based on the current Buy Price. When confirming the transaction on MetaMask, be sure to use a high enough gas price so that the price doesn't change drastically while the transaction is in progress. Here you can view recommended gas prices. Buying coins will increase both the Buy Price and Sell Price with 0.00000001 ETH per bought coin once the transaction is complete. 3	Under "IND Token Balance" you can see how many IND you currently own. Note that when cashing out coins, the Buy Price and Sell Price drop afterwards, decreasing the value of your (and everyone else's) coins by 0.00000001 ETH per coin. 4	Every time IND are bought or sold, a percentage of the fee from the bought/sold coins will be divided under the current IND holders (Dividends). 5	You can move your tokens into Dividends which then is stored as Ether. To do this click on the "Sell Tokens" button - and your tokens will be transferred into Ether based upon the current sell price. 6	You can also use your dividends to immediately purchase more IND tokens by selecting "Buy with Dividends". 7	To cash out your IND, click the "Withdraw" button and follow the prompts. © 2018 Gandhiji. All Rights Reserved.